In today’s third chat in the Hypersonix series, we are talking about reusable space launch vehicles – one of the features of our launch system. The 1960’s was a tremendous decade for space exploration, thanks to the famous challenge set by President Kennedy. The challenge, “to send an astronaut to the moon, and return him safely to earth before the decade is out”, was a critical event in human history. In response to this challenge, America forged ahead with the Apollo Program. On the launch pad these enormous rockets creaked and groaned, as they contained tens of thousands of kilograms of liquid oxygen at -200 degrees Celsius. Once the rockets fired up, hot gases at over 3000 degrees Celsius spewed out, pushing the astronauts into space, and then to the moon. After that, only about 1% of what was launched came back. This was the command module that protected the astronauts during re-entry. So these were throw-away rockets! Imagine you bought a new sports car, say a Porsche. You pick it up from the show room all shiny and new. Next day you and your best friend drive it to the beach. The drive is very exciting, and you get there safely and in record time. When the day is over you drive the car into the ocean and throw away the keys! 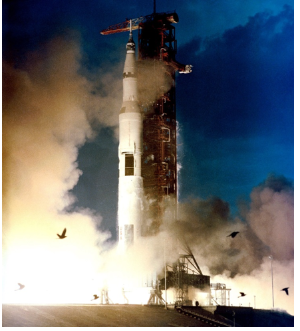 Fun fact: The Apollo rocket carried so much oxygen and fuel, that only 1% of the total mass returned from space after the mission had finished. It's time we left the 60's behind.. In 2018, we can face-talk with friends almost anywhere in the world. We can holiday in far-flung places. And we have decoded the human genome. But most space launchers are still throwing rockets away like we are in the swinging 60’s with Austin Powers. The supposedly “cutting edge” activity of going to space has made few advances since the 60s. However, thanks to a growing number of innovative aerospace companies, things are at last changing. 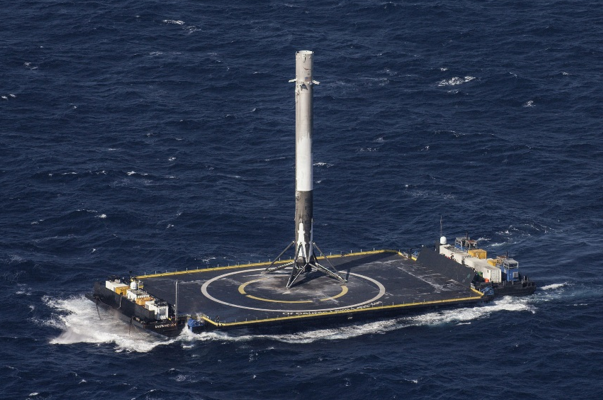 In 2016 SpaceX safely landed one of their Falcon 9 booster rockets on a floating platform in the Atlantic Ocean. In 2017 SpaceX not only retrieved one of their boosters, but re-flew it. The space launch industry has now entered a time of great change. 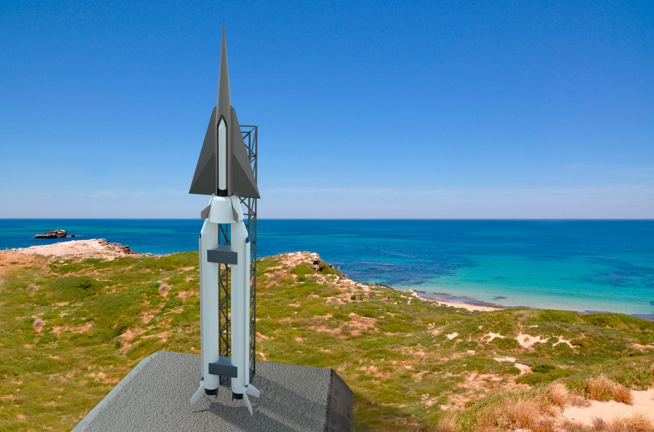 At Hypersonix we want to lead this change in the Australian small satellite launch industry, while continuing to develop the huge potential of scramjet technology. In Australia, we are very interested in being able to put our own small satellites into orbit. 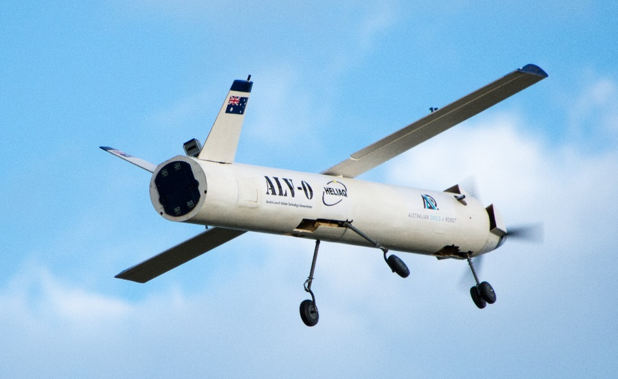 Remote sensing; bushfire monitoring; Outback Internet; there are all sorts of jobs that small satellites can do. Some of these satellites are not much bigger than an iphone, called CubeSats. We have been developing our hypersonic launch system to do just this. It’s small; about the same size as a Boeing 737 you would catch between Sydney and Melbourne. It uses scramjets, and we call it SPARTAN! It’s a hypersonic aircraft and it is boosted up to speed by rockets. Remember from last week’s chat [link], a scramjet only works at hypersonic speed, so it needs help to get to Mach 5. Our rockets, however, are not throw away ones like in Apollo. They will deploy wings and fly back to the launch pad to be used many times over. We call them our Hypersonix “Boomerang” boosters. After being accelerated to Mach 5 by our Boomerang Boosters, the scramjet engines turn on. They push SPARTAN to the edge of space, releasing the satellite which is then taken up to its final orbit by a small rocket. The SPARTAN then turns around and also flies back to base. Now, this is the future of space travel! Flying to space, and coming back again. Previous Post What is a Scramjet?